The fine levied by U.S. District Judge William Conley more than doubles damages imposed on Apple by a federal jury in October 2015, reports Reuters. 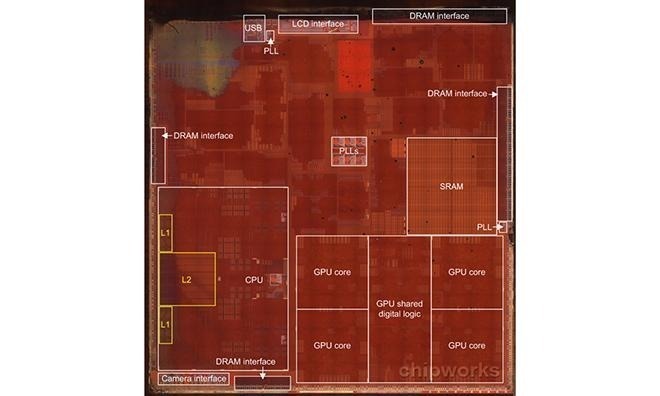 Apple's A-series CPUs, specifically the A7, A8 and A8X system-on-chip designs, were found to have infringed on a 1998 computer microarchitecture patent owned by the Wisconsin Alumni Research Foundation. The university's patent licensing arm initially sought $400 million from the tech giant. Judge Conley in his determination said WARF is owed additional damages plus interest because Apple continued to use the patented technology without license until the IP expired in December 2016, the report said. WARF first sued Apple in 2014 over alleged infringement of U.S. Patent No. U.S. 5,781,752 for a "Table based data speculation circuit for parallel processing computer." According to WARF and original patent claims, the IP provides a novel method of improving power efficiency and performance in modern computer processor designs using "predictor circuit" technology. The university leveraged the same patent to force Intel into a settlement in 2008. The original complaint against Apple claimed willful infringement, noting the company cited the '752 patent property in its own U.S. Patent and Trademark Office filings. Further, WARF claimed Apple refused requests to legally license the IP. The university branch later filed a separate lawsuit asserting the same patent against Apple's more recent A9 and A9X chips. For its part, Apple denied infringement during court proceedings. The company also sought to mark the IP as invalid, and requested a PTO review of its validity, but the patent body declined to take such action. Apple is appealing the 2015 jury verdict and subsequent damages finding. Conley will not hand down a ruling on the second WARF case against Apple until the company completes the appeals process, the report said.